Do you have a dishwasher that is smelly? Is your dishwasher not cleaning your dishes correctly? Dishwasher smells like rotting fish? Smells moldy and burning? To keep your dishwasher running smooth, clean, and strong, follow the preventive maintenance and cleaning tips we have added below. These helpful dishwasher cleaning and maintenance tips will give you ideas to keep your dishwasher smelling fresh and running like brand new. Using Vinegar Keeps Your Dishwasher Smelling Fresh and Clean: Every month, run your dishwasher with an empty load to clean out any food or mold build up. Add a cup of white vinegar to the bottom of your dishwasher while empty and then let it cycle through an intense wash on “hot water” or “sanitize” mode. The white vinegar will help to clean and sanitize the internal parts that may be making your dishwasher smelly or moldy smelling. If the bad smell is still there after cleaning, try adding 2 cups of the white vinegar and fill the soap tray with your normal detergent too. Also check the bottom of the dishwasher to see if there is any food or other particles that may be making the dishwasher smell. Dishwasher Door Seals Needs To Be Cleaned Also: The dishwasher door seal needs to be cleaned in order to make your dishwasher run its best. The door seal rubber can get food or bacteria stuck to it and should be regularly scrubbed cleaned. The detergent soap door can be cleaned at this time also. Always Scrape Your Dishes Before Loading Them Into Dishwasher: It is not necessary to wash the dishes before adding them into the dishwasher. However, make sure that you are not clogging your dishwasher with big chunks of food. Scrape off any food chunks before putting them into your dishwasher. The more you scrape off you dishes before washing, the less food will be stuck to your plates after the wash cycle is completed. Run Your Kitchen Faucet With Hot Water For 2 Minutes First: Before you start the cleaning cycle you must turn on the hot water on the kitchen sink and let it get good and hot. Heating the water on the kitchen faucet removes the need for your dishwasher to heat the first washing water into your dishwasher. This helps as hot water always cleans better than cold or warm water. Make Sure Your Water Heater Temperature Is Optimal: In order to get your dishes clean set the water heaters temperature to between 120 and 125 degrees F. This is the best temperature for getting your dishes as clean as they should be. Do not let the water temperature get any hotter than the recommended as water that is super heated will dry before it has time to actually clean your dishes properly. Choose the Correct Cycle for Every Load Of Dishes: Dishes that have baked on food will need extra time and more hot water to get clean than normal dirty dishes. Choose the “Sanitize” “Pots and Pans” or “Extra Duty” setting for extra dirty dishes. Saving Money Using A Detergent And Rinse Aid Mix: Many detergents now include a rinse aid. If you use this type of detergent in your dishwasher then there is just no need to add extra rinse aid to your dishwasher. 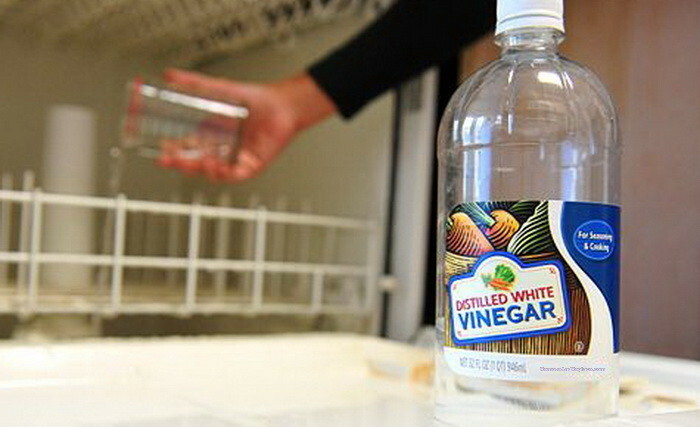 An alternative to buying expensive rinse aid is good and cheap white vinegar. Fill your rinse aid dispenser with plain white vinegar for an extra sanitizing wash cycle. This also helps clean the inside of the dishwasher itself and will make it last longer in the long run. 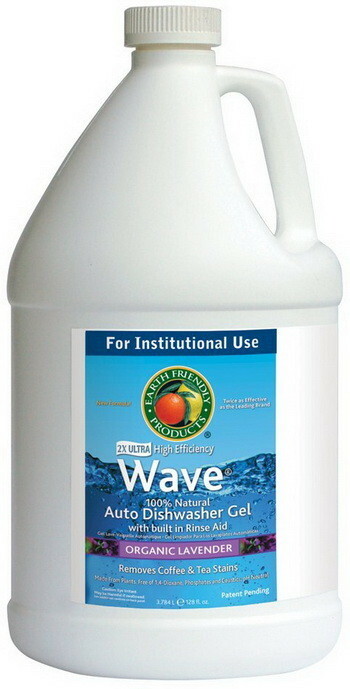 Save Money And Buy Bulk Dishwasher Detergent With Rinse Aid Already Added!!! Make Sure To Give Your Dishes Space to Get Properly Clean: While it may be easy to jam every single dirty dish into one wash load, it is better if you give the dishes the proper space to clean. 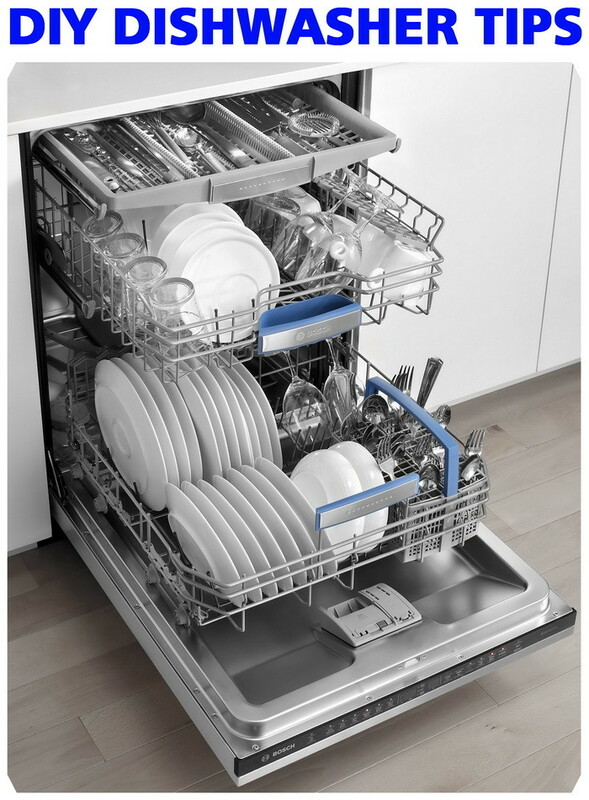 If dishes are packed too close together, the water and detergent can’t get in between to properly clean. This will leave more items dirty after the cycle is over and you will have to wash them by hand or do it over so leave the proper spacing. Clean Out The Dishwasher Trap Often: There is a trap under the water sprayer in the bottom of your dishwasher that is removable. 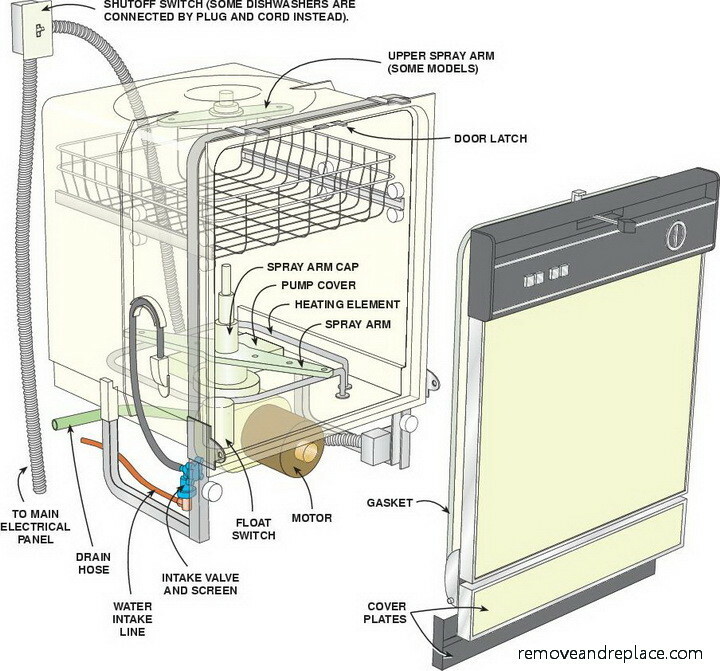 Locate the large sprayer and remove it out of the dishwasher and clean it well. Underneath where the sprayer is located is the dishwasher trap. You will most likely find bits of food or something that may have dropped into the bottom of your dishwasher. If you are able to remove the dishwasher trap then do so and clean it well under the faucet with hot water removing any food or particles inside. 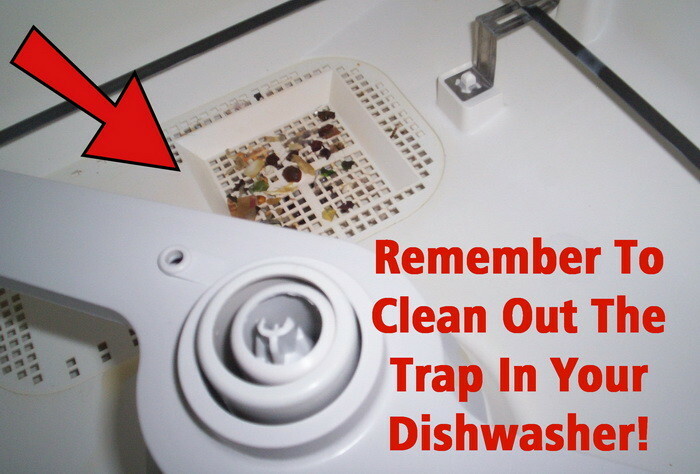 If you cannot take the trap out to rinse it in the sink then use a paper towel to remove any build up found inside the dishwasher trap. 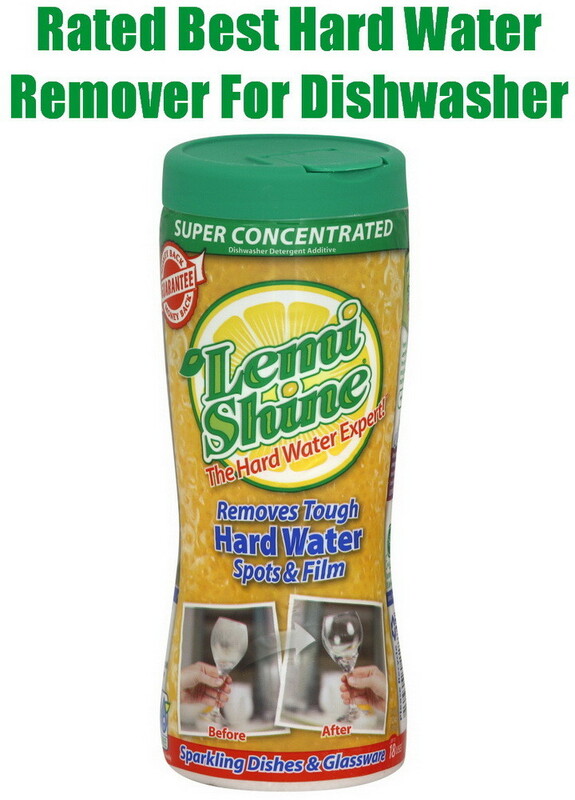 Lemi Shine Is The Best Way To Remove Hard Water Spots From Dishes And Glasses In Your Dishwasher! When I had my KitchenAid dishwasher serviced (thankfully still under warranty), I was telling the repair buy how disappointed I was that it need to be serviced so soon, after all, I got the most expensive model they sold. He told me it didn’t matter how much you spend on them, they’re all the same. Then he told me he wasn’t supposed to make recommendations, but he said I should never get a Bosch… said they used to be the best, but now they’re junk. I’ve never owned a Bosch, but that’s what he told me.